This is a Padded Arming Cotton Cap Large. The arming cap is used to provide comfort and extra protection for the wearer when wearing chain mail and a helmet. 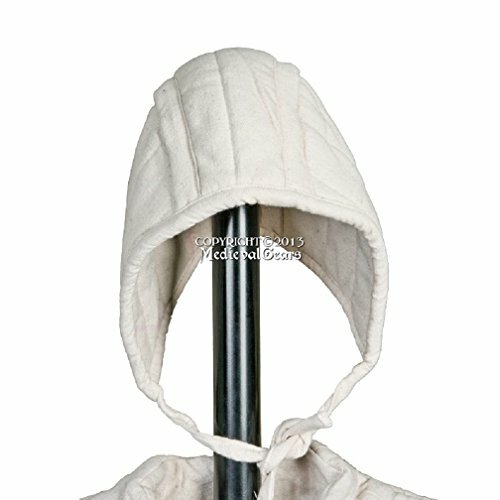 It is made of heavy cotton and is padded with three layers of wool felt. It is recommended that this cap is dry cleaned. Made with heavy duty cotton and real wool padding. Made to wear under helmets as added cushion for comfort. If you have any questions about this product by Medieval Gears, contact us by completing and submitting the form below. If you are looking for a specif part number, please include it with your message.